What is the value of the magnetic flux at coil 2 in Figure 23.56 due to coil 1? Figure 23.56 (a) The planes of the two coils are perpendicular. 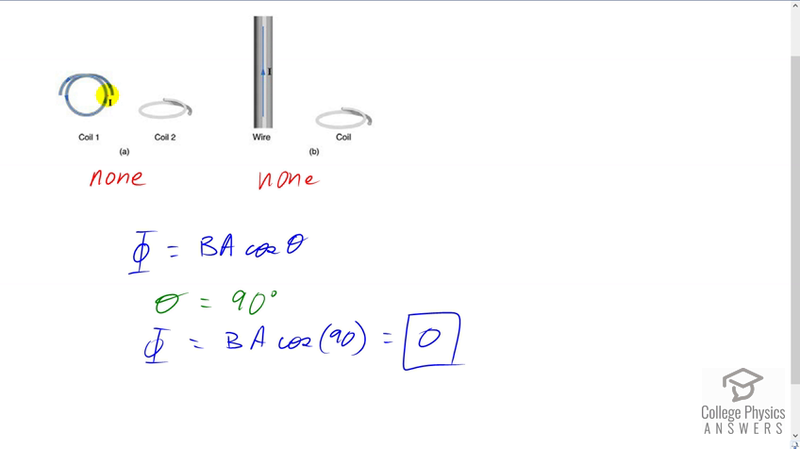 (b) The wire is perpendicular to the plane of the coil.